Buying a house is a delicate moment in any aspiring owner’s life: finding the right one, both for your preferences and your budget, striving to find a suitable mortgage afterwards and so on. But if the process of buying a house is already complicated enough as it is, what can make it more complicated is having set your eyes on a property with an unique situation. This is a quality which can make the house more desirable to you, but much less desirable for the bank who has to finance its purchase, and you may encounter problems when searching for a bank willing to take it in its portfolio. For example, if someone is planning to buy a condo formed by the joining together of two apartments by the previous owners, or any other kind of home which underwent modifications unusual for the area, then this may be a problem for most banks. A property which is unusual by the standards of the area is known in broker slang as a “white elephant” and it’s something most banks steer clear of. The major – and reasonable – fear of the bank is that such an apartment or home may not sell as easy as regular options, if it comes to reselling it, so they’d rather not burden their portfolio with it just because they’re an aspiring owner in the present. 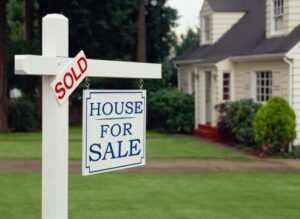 Obviously, when you really want to buy a house you’ve set your eyes on, such a string of refusals from most major banks can be very frustrating. The solution for this type of problem is to go talk to a community bank in the area where you’d like to become an owner, because it’s often easier to reach an agreement with these banks. They’re not as afraid of the so-called “white elephants” as the larger banks tend to be, because they know their community profile and the real estate market in the area better, and they usually have different terms as well. This means that you may have to buy a house you want with a slightly higher down payment or a slightly higher interest rate (often required by community banks), but at least you’ll be able to take the mortgage problem out of the way and buy the property. Big banks don’t want to take the risk because they’re afraid they may end up being stuck with the property that breaks the pattern and may be difficult to sell further. Smaller banks are either calculating their risks differently, or they are willing to overlook these risks for an increased profit from the bigger interest rates. Whatever the case is, for people dealing with problems finding a bank willing to finance the house they want, community banks are the answer they are looking for. Do your math, overview your budget, ask yourself “how much mortgage can I afford?” and go talk to the community bank or a credit union in the area. You may be surprised at how easy it can be to close the deal. While this solution may not be for everyone, since many people are usually scouting the banks for the lowest mortgage rate they can find, others may be relieved to find a way to get it over with faster. This is especially true in cases where the property they want can be described as a “white elephant” or in the cases where they are already tired and frustrated after months and months of bureaucratic problems getting in the way of their purchase. Remember this tip when you’re in the process of buying a house and it may save you valuable time.